Older horses represent a sizeable portion of the horse population, according to Laurie Cerny editor of www.equineseniors.com “20 percent of the horse population is over the age of 20.” 1. This is excellent news on the one hand as it shows that we are looking after our aging equine population. However, with age, comes the problem of care. The older horse has different requirements to the younger horses. The feed industry in particular, seems rife with clever marketing that would encourage you to believe that their feed or supplement is the magic cure all for your old horse. To quote Dr David Marlin’s words of advice: “When it comes to nutrition you will be amazed how few companies actually have anyone working for them who has any nutritional qualifications whatsoever. There is NO requirement for this, although I strongly believe there should be.” 2. Make sure you ask the advice of an independent professional, or at least a company that sells a range of different brands. There are some feeds and supplements that will help your older horse, just be discerning in your choices. The NHS guidelines for the elderly state: “As you get older, it becomes even more important to remain active if you want to stay healthy.” 3. And while this statement is aimed towards humans the same applies to our horses. The advice given by Mary Rose Paradis, DVM, MS, Dipl. ACVIM, an associate professor in the Department of Clinical Sciences at Tufts, in N. Grafton, Mass. In her article on keeping the older horse healthy, states: “Increase mobility to reduce pain, and avoid stall rest.” 4. Being able to turn your horse out, as well as to some form of mobility stretches, is one of the best things you can do to ensure that your horse remains happy and well. Yoga is proven to improve mobility and flexibility. There have been a range of scientific studies around the physical and mental effects of yoga. 5. And while there is not an equine equivalent, there are good series of scientifically proven stretches in Activate Your Horse’s Core that will help your horse. This give you a selection of simple to follow exercises to help improve your horse’s core strength. If you don’t feel these are appropriate for your older horse, discuss a series of exercises with your physio to help your horse to maintain flexibility. With all the science and knowledge that we have access to these days, it is possible to provide a top level of care to your older horse, ensuring that his later years are happy and enjoyable. Release, P. (2018). Older Horses Focus of Senior Horse Symposium – Quarter Horse News. [online] Quarter Horse News. Available at: https://www.quarterhorsenews.com/2018/01/older-horses-focus-senior-horse-symposium/ [Accessed 19 Mar. 2018]. com. (2018). Dr David Marlin. [online] Available at: https://www.facebook.com/DrDavidMarlin/ [Accessed 19 Mar. 2018]. uk. (2018). Exercise as you get older – Live Well – NHS Choices. [online] Available at: https://www.nhs.uk/Livewell/fitness/Pages/activities-for-the-elderly.aspx [Accessed 19 Mar. 2018]. Erica Larson, N. and Erica Larson, N. (2018). 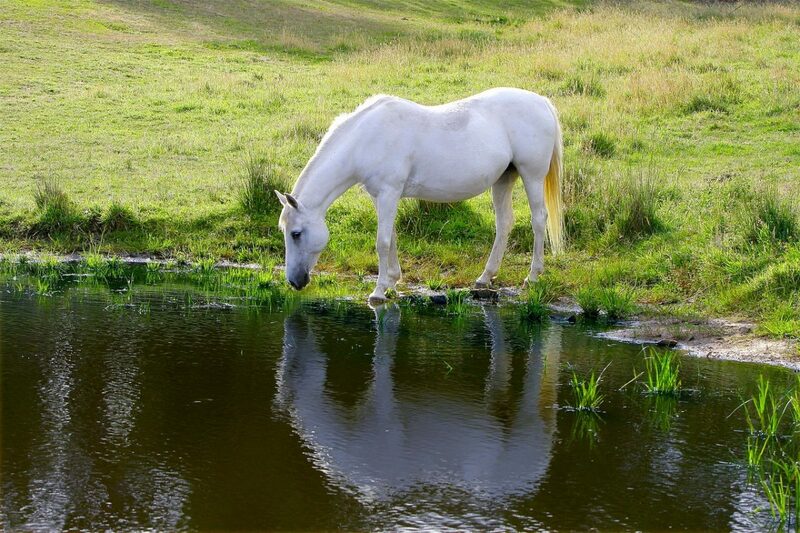 Tips for Maintaining Aged Horses’ Health – The Horse. [online] The Horse. Available at: https://thehorse.com/114189/tips-for-maintaining-aged-horses-health/ [Accessed 19 Mar. 2018]. Elsevier Connect. (2018). The science of yoga — what research reveals. [online] Available at: https://www.elsevier.com/connect/the-science-of-yoga-what-new-research-reveals [Accessed 19 Mar. 2018]. Don’t miss out on more great articles, sign up to the newsletter today! Hi where can I find out what stretches are suitable please?